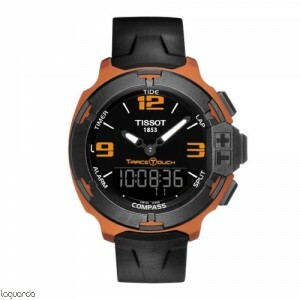 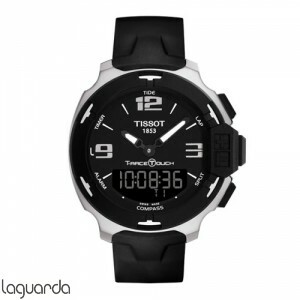 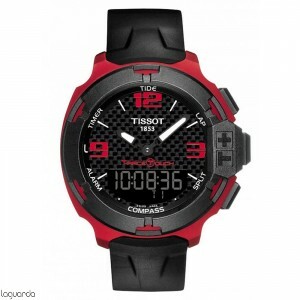 Tissot T-Race Touch, Tissot official agent, official catalog prices updated in Barcelona. 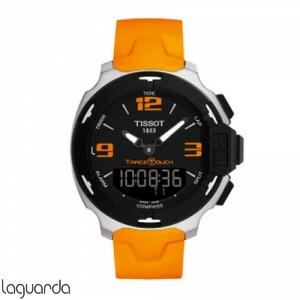 Watches Tissot T-Race Touch in top form. A style marked by a passion for motor sport. The Tissot T-Race Touch measures all times and turns with their choices chronograph (add / split / lap), and if you need a little push, you can see how fast you have reached with the function of logbook, which records former times, with a simple touch of the screen, and with its compass, never let you miss. The perfect companion for sports, synthetic watch strap offers maximum comfort and encourage you to improve yourself because of the multiple touch functions. 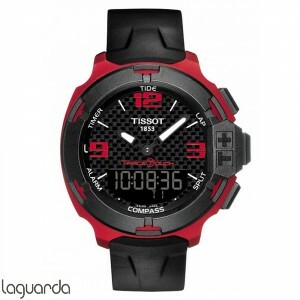 The Tissor Race T-Touch watch is available for both women and men, requested more information on Laguarda Jewelry.